Habent sua fata libelli: Text Processing in the Philosophical and Religious Movements within the Roman Empire (1-300 CE), based at Utrecht University. Interdisciplinary and innovative in character, it involves the fields of ancient philosophy and biblical studies as well as modern literary criticism and cultural theory. Here you can find the salient facts about the project itself, the research team, publications, events and other points of interest. In providing this information we hope to promote the exchange of ideas between all who work in the same or related fields of scholarship. 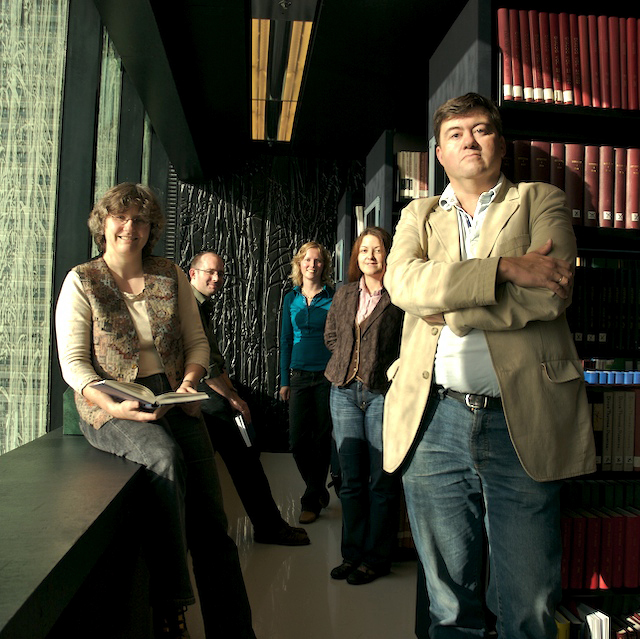 HSFL research team: Annette Merz, Martin Ruf, Irene Conradie, Anna Ntinti, Teun Tieleman, and Nicole Frank (not pictured).